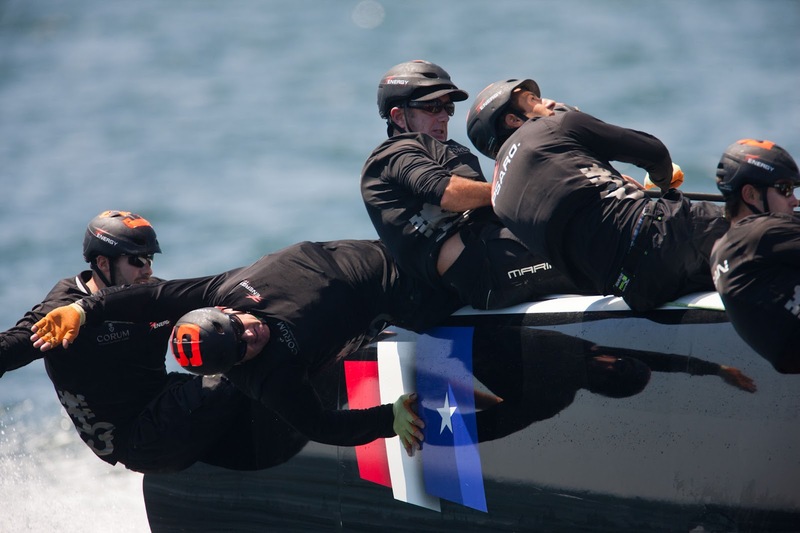 Jimmy Spithill’s ORACLE TEAM USA continues to impress in Newport, but were denied a fourth consecutive fleet race win by a hard-charging Emirates Team New Zealand. 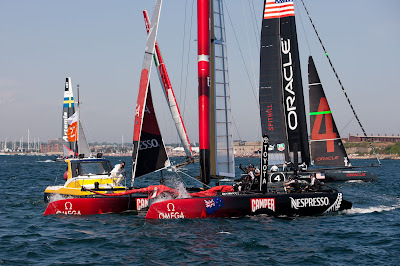 From there, Spithill extended away while his rivals were engaged in battle behind him. Young Nathan Outteridge and his Team Korea crew had an impressive race in second place, holding off Emirates Team New Zealand, as Dean Barker threatened early, but couldn’t make the passing move and settled for third. Artemis Racing made its way up from near the back of the fleet to take fourth. Fleet race four started like the previous one, with Spithill barging across the starting line to take an early lead. 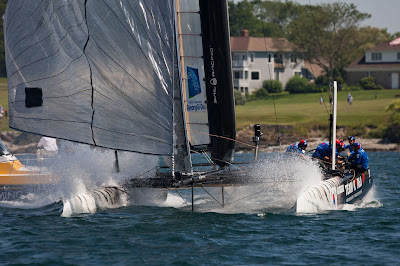 But this time Dean Barker’s crew had an answer on the first upwind leg, working a favorable path up the shoreline, away from the adverse current running down the race course, to take steal the lead. Loïck Peyron’s Energy Team too, passed Spithill and then Nathan Outteridge squeezed by on the next leg. But the ORACLE TEAM USA crew fought back to ease around the top mark just behind the Kiwis. Barker and crew held their position however all the way to the finish, with Spithill relegated to third, his worst result of the series. With a second and a fourth place finish, Nathan Outteridge’s Team Korea climbed off the bottom of the leaderboard and now sits just two points out of a podium position. Coutts went in for repairs, and although he made it out for race four, he was late to start and never in contention, with the last place finish dropping the team to the bottom of the leaderboard. Before racing started, the teams engaged in the AC500 Speed Trial. Here too, Spithill proved the class of the fleet, his second run setting the standard ahead of Energy Team and Team Korea. 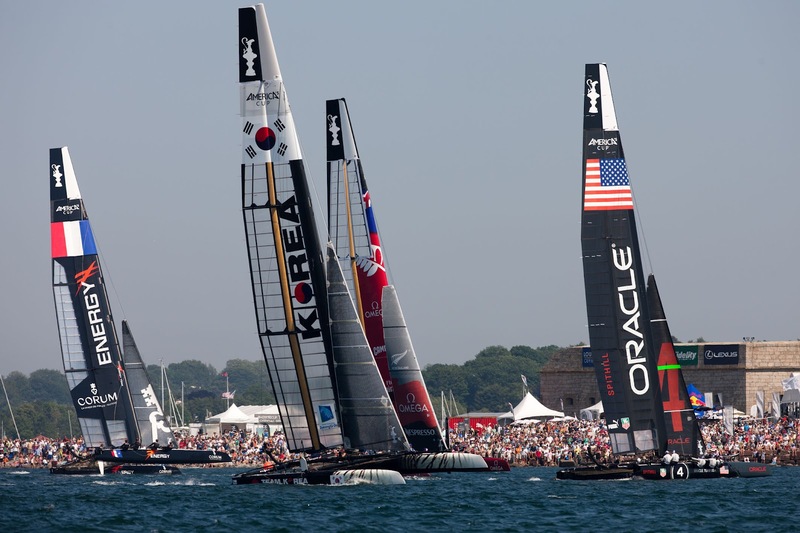 Racing starts at 1430 on Sunday with the final of the Newport Match Racing Championship between the two ORACLE TEAM USA crews. Then it’s the fifth and final fleet race to determine the Newport Fleet Racing Champion as well as the overall 2011-12 AC World Series Championship. 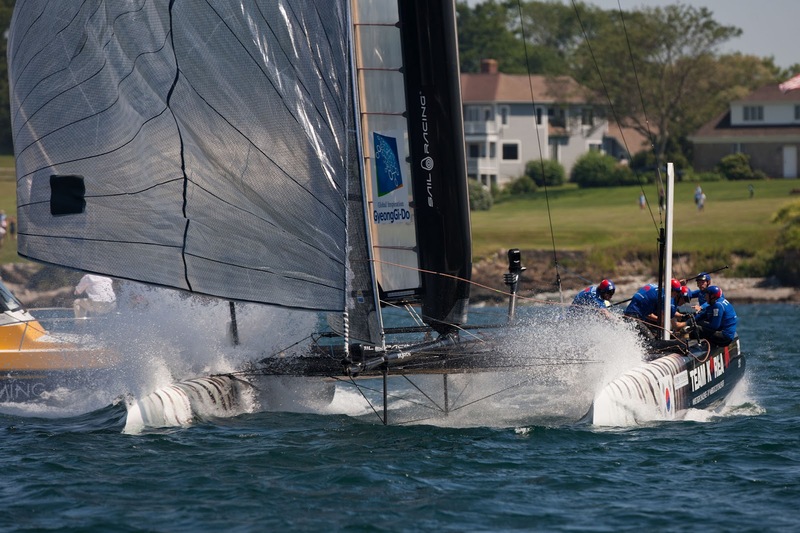 There are 30 points on offer to the winner of race five, meaning the Newport fleet racing title is wide open. Sunday’s racing program is live, coast to coast in the United States on NBC, beginning at 1430. This means it will not be shown live on YouTube.com/americascup in the United States. However, the race replay and highlights will be posted after the live broadcast has concluded.